Spencer Dinwiddie and the Brooklyn Nets will look to steal Game 1 on Saturday as they travel to Philadelphia to take on Ben Simmons and a potential Joel Embiid-less 76ers squad at 2:30 p.m. 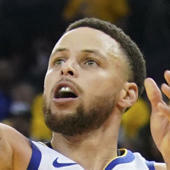 ET in the 2019 NBA Playoffs. Brooklyn is red-hot heading into the playoffs, having won three straight. Those wins all came against playoff contenders, highlighted by road wins over the Eastern Conference No. 1 and No. 5 seeds. They will attempt to pull off another road win over one of the East's best on Saturday against the No. 3 seed Sixers. Philly limps into the playoffs as losers of four of their past six games. Injuries to Joel Embiid and Jimmy Butler have limited them, and Embiid's (knee) status is very much in jeopardy for Game 1. Sportsbooks list Philadelphia as a 5.5-point home favorite, while the over-under, or total number of points Vegas thinks will be scored, is 229 in the latest Sixers vs. Nets odds. Before you make any 76ers vs. Nets picks, be sure to see the NBA predictions from the proven projection model at SportsLine. Now it has locked in on Sixers vs. Nets. We can tell you model is leaning under, and it also says one side of the spread hits in nearly 60 percent of simulations. You can only see that pick at SportsLine. The model is well aware of how well equipped Philadelphia's defense is to limit Brooklyn's main source of offense, D'Angelo Russell. Russell is not among the league's fastest guards, instead relying on size and craftiness to find good looks. Generally, those types of scorers don't do well against a Philadelphia team that has incredible size and length defensively. Ben Simmons and Jimmy Butler are the exact type of defenders that give Russell trouble. Philly's length has helped hold opponents to the fifth-fewest points from mid-range (10-to-24 feet), which is where Russell excels. No point guard has scored more points per game from mid-range than him. Russell also ranks fifth in made 3-pointers among point guards, and the Sixers have allowed the fourth fewest made threes. But just because Philly matches up well there doesn't guarantee it will cover the Sixers vs. Nets spread in the NBA Playoffs 2019. The model is also well aware that Brooklyn has been one of Vegas' most undervalued teams this season, as evidenced by its eighth-ranked cover rate (54.9 percent). Brooklyn covered the spread in three of four regular season meetings with the Sixers, and with Embiid (knee) possibly not ready to take the floor for the start of the 2019 NBA Playoffs, Brooklyn could have the upper hand. The 76ers are just 8-10 on the year in games Embiid has missed. While Philly has been strong at home, the Nets boast the NBA's third-best road cover rate (61 percent). So who wins Nets vs. Sixers? And which side of the spread hits nearly 60 percent of the time? Visit SportsLine now to find out which side of the Nets vs. 76ers spread you need to jump on, all from the model that has crushed its NBA picks, and find out.